ME/CFS Research Needs YOU… To Send An Email! This is going to be a quick, short and sweet update. But it’s vitally important to get the word out about this! It was announced a few days ago that the Senate has completely SLASHED TO ZERO the meager funding allotted to ME/CFS research in next year’s budget. ME/CFS is the ONLY disease to have its entire budget taken away. But, it is possible to change this if enough outrage is heard. We only have a few days to turn this around. So, I beseech you all to send the attached graphic to the following email addresses asking them to stop this. 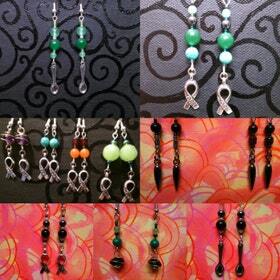 Every ME/CFS sufferer in the world will thank you, as will I. 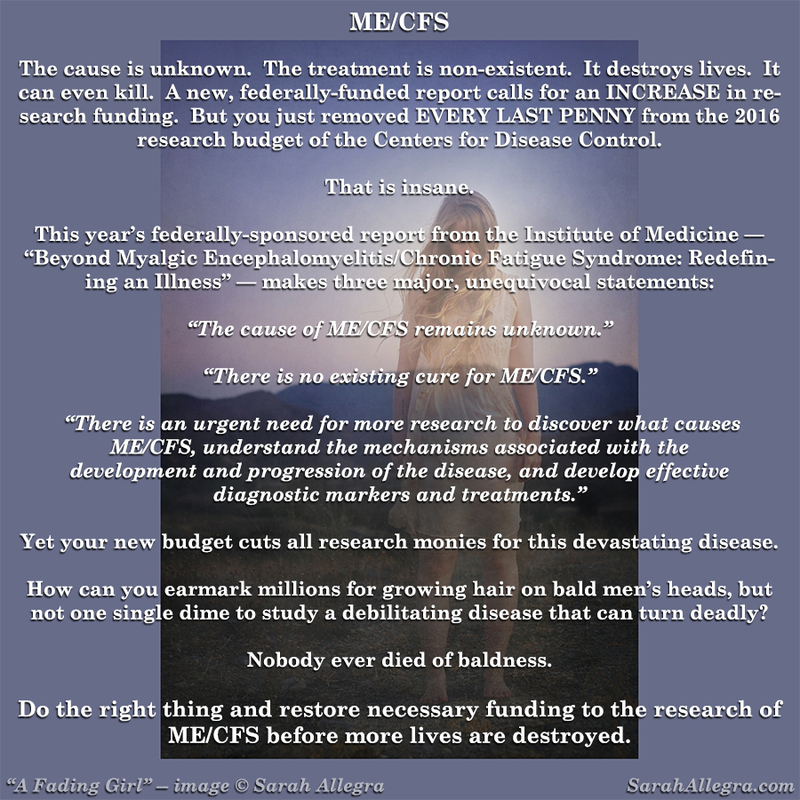 You can read a little more about the issue here: http://www.cfstreatmentguide.com/blog/federal-government-slashes-mecfs-funding-to-zero You are also more than free to spread/post this around wherever you’d like to get the word out more! Thank you deeply from the bottom of my heart.